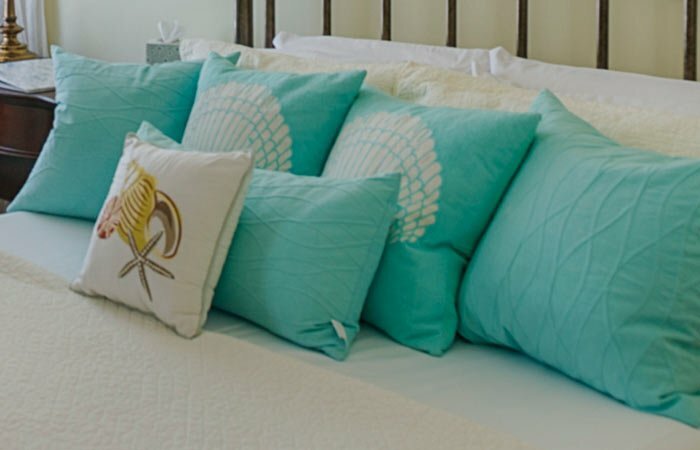 The Seashell is upstairs on the second floor and offers beautiful beach-inspired seashell bedding with neutral earth tones and watery turquoise. Queen-size iron bed with pale yellow walls. 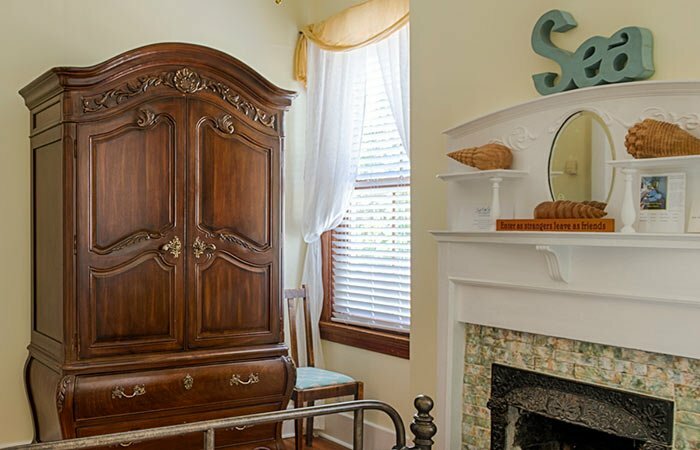 This room features a (decorative/non-working) fireplace with the original insert and tile surround, beautiful armoire and ceiling fan as well as flatscreen TV. 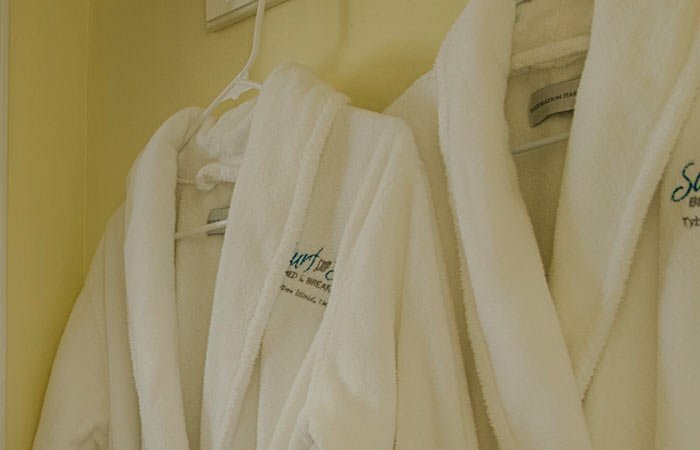 Amenities of this room also include an en-suite full bathroom with ceramic tile and dual sinks and medicine cabinets. A perfectly beachy and relaxing guest room!